The unique Tomato A&P Wing emblems are direct replacements for the OEM front or trunk badge. (Please let us know which one you want). Simple installation with waterproof adhesive backing. 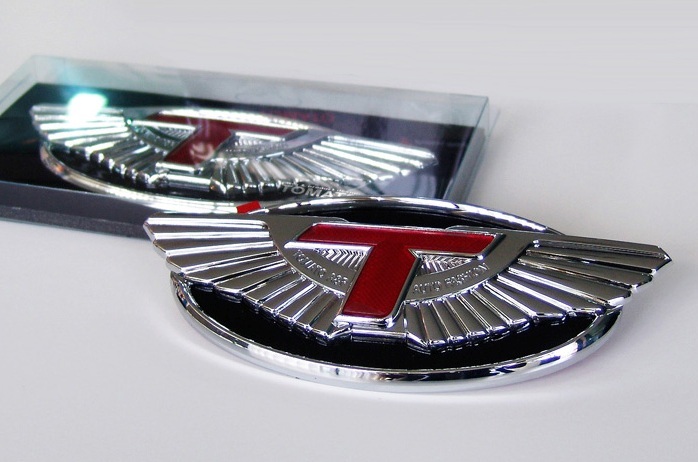 Individual emblems made specifically for the trunk and front grill. Installation with self-adhesive backing. PRICED PER EMBLEM. IF YOU WANT BOTH THE FRONT AND REAR EMBLEMS, PLEASE PURCHASE A QUANTITY OF 2.